One of the primary goals of my YouTube channel is to share my landscape photography adventures. By sharing my adventures I can hopefully provide a little inspiration to my fellow landscape photographers or even encourage people to get out there and see the great outdoors. Sometimes my adventures are unplanned, but every now and again I come up with a plan for a grand adventure! The problem is that these grand plans aren't exactly simple to execute. Time is the normally the limiting factor for me. However, when I read about National Parks Week, I thought it was the perfect excuse to execute one of those grand adventures. My idea was simple. I would visit 3 national parks, in 3 different countries and do it all in one day. Would it even be possible? Let's find out. As you saw in the video, it is indeed possible. I wouldn't exactly recommend it though. It was a lot of driving and a very long day. But I sure did enjoy it! The locations I visited were stunning, and that was only 3 of the 15 national parks in Britain. If you haven't visited a national park before, or it's been a while, I really recommend that you check out the National Parks website as there is sure to be one near you. I'm really lucky as I have Dartmoor on my doorstep. The national parks are a valuable resource, so if you have some time it's also worth considering spending some time on your local national park as a volunteer. You can see how I got on one year volunteering on Dartmoor here. I really hope you enjoyed this video. If you are looking for a bit more detail on the locations I visited and the photographs you saw, you'll find them below. So are heading out for National Parks Week? What is your favourite national park? Let me know in the comments below. 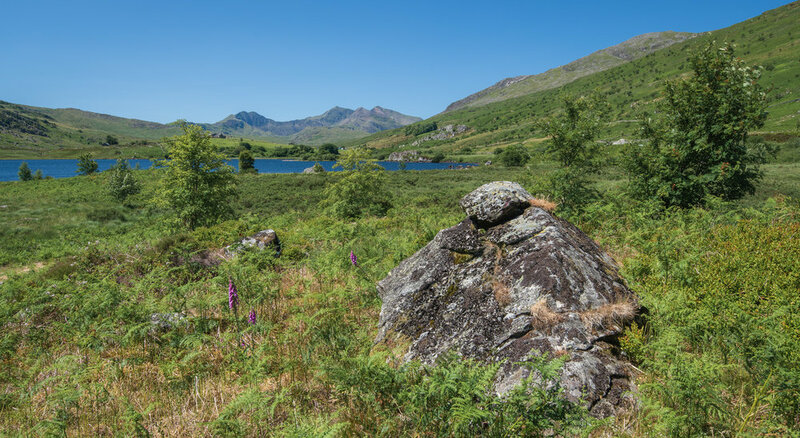 For more information about Snowdonia National Park, click here. Snowdonia National Park - near Plas y Brenin, Wales: Nikon D850, Nikkor 16-35 mm f/4 at 25 mm, 1/20th sec at ISO 64, f/13, Lee Filters Circular Polariser. For more information about The Lake District National Park click here. Haweswater Reservoir - Lake District, England: Nikon D850, Nikkor 16-35 mm f/4 at 17 mm, 1/20th sec at ISO 64, f/13, Lee Filters Circular Polariser. For more information about the Loch Lomond and The Trossachs National Park, click here. A Pastel Sunset at Ben A'an - Loch Lomond and The Trossachs National Park: Nikon D850, Nikkor 24-70 mm f/2.8 at 70 mm, 1/5th sec at ISO 64, f/13, Lee Filters 2 Stop ND Grad. Looking North from Ben A'an on a Beautiful Summers Evening - Loch Lomond and The Trossachs National Park: Nikon D850, Nikkor 24-70 mm f/2.8 at 48 mm, 1/3rd sec at ISO 64, f/8, Lee Filters 2 Stop ND Grad. A Summer Sunset At Ben A'an and Loch Katrine - Loch Lomond and The Trossachs National Park:: Nikon D850, Nikkor 16-35 mm f/4 at 18 mm, 0.5 sec at ISO 64, f/18, Lee Filters 2 Stop ND Grad.